Little Farm in the Foothills: Elizabeth Gilbert's new book--must-read for creative people! 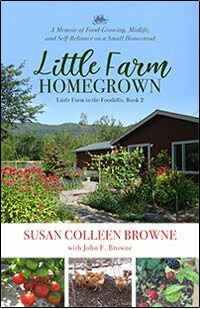 Author Susan Colleen Browne shares recipes, tales of backyard farming and raising chickens...discover more about the homesteading life in her new book, Little Farm Homegrown! Elizabeth Gilbert's new book--must-read for creative people! If you're looking for new inspiration, here's a book that's perfect for artists, writers, performers, crafters and anyone who enjoys expressing their creativity: Big Magic: Creative Living Beyond Fear by Elizabeth Gilbert. You're sure to finish the book feeling more inspired and energized about all your creative projects! I had a similar experience (minus the bestseller!). 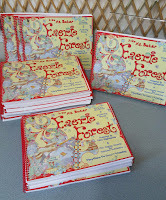 A little over a year ago, a new friend, Laine, mentioned she was writing a fairy book. “How cool is that!” I told her. “I’m writing a fairy book too!” In my spare time, I’d been noodling around with a kids’ story, and I figured Laine was still at the “playing with ideas” stage as well. Anyway, I was busy working on another novel (The Hopeful Romantic), but we resolved to meet again after the New Year. Several weeks later, with Christmas swiftly approaching, I was hit by an overwhelming urge to write my entire fairy book. In an unprecedented writing binge, I finished what became Morgan Carey and The Mystery of the Christmas Fairies in 6 days. When I came up for air Christmas Eve, I realized I’d written the story so fast it was like there was some power beyond me, helping me get Morgan’s holiday fairy story down on paper before December 25. I’d had to miss out on a lot holiday traditions to get it done but it was worth it. When I saw Laine again after the holidays, she had not only finished her fairy book, but had a mock-up of it ready. Clearly, the two of us had been working on our books at the same time! Coincidence? Or…magic? While Laine’s book, In the Mt. 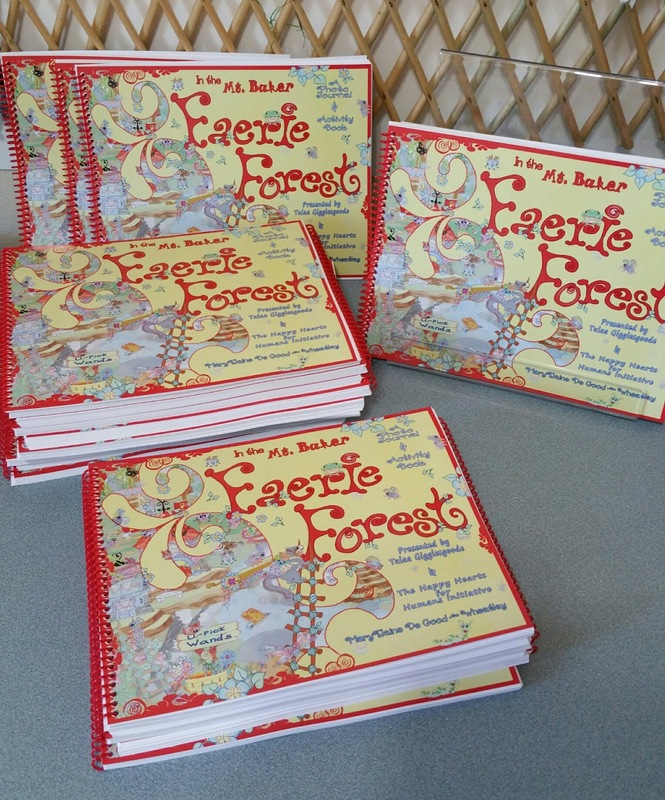 Baker Faerie Forest (written with the author name MaryElaine De-Good Wheatley) is a vividly illustrated fairy activity book (think coloring book, only far better!) mine is a middle-grade chapter book. Yet both books express the power of love and wonder, both take place in the forests of Northwest Washington near Mount Baker, and both Laine and I published our books in 2015. Now that, my friends, is the power of creativity! 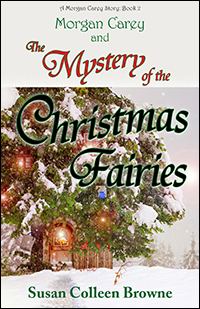 The Mystery of the Christmas Fairies is Book 2 of my Morgan Carey series. You'll find more about all my books at www.susancolleenbrowne.com ! New Homesteading Book Now Available! Susan Colleen Browne is a novelist, modern homesteader, and the creator of the Irish Village of Ballydara series, (see more at susancolleenbrowne.com). 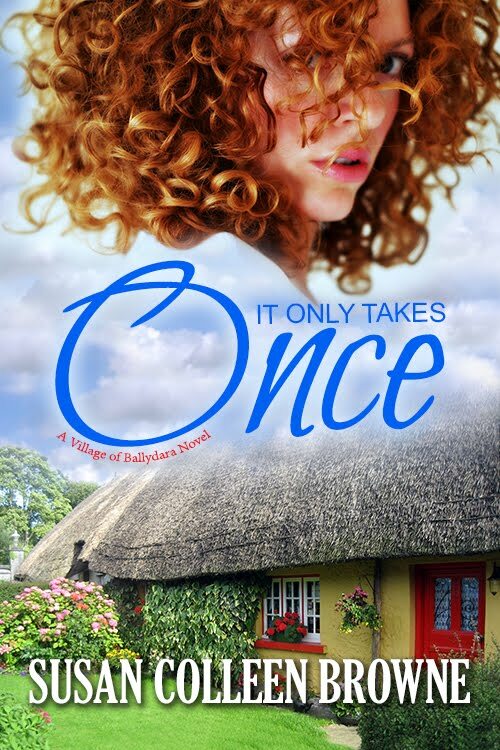 Susan's other Irish books include It Only Takes Once, now free at all online retailers, The Hopeful Romantic, and more! She's also the author of a fantasy-adventure series for tweens. Her award-winning memoir, Little Farm in the Foothills, follows Susan and her husband John's first, tumultuous year on their starter homestead. Here at the Little Farm blog, you'll find Susan's food-growing adventures, chicken tales and more about her books! 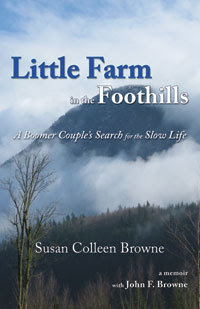 When two Boomers flee the city for a slower, simpler life, they discover that simplicity can get awfully complicated! This wise, yet lighthearted memoir is for gardeners, nature-lovers, and dreamers of all ages... Available in ebook and paperback! 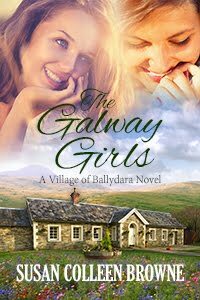 Latest Irish novel: The Galway Girls, Book 4 of Susan's country-set Village of Ballydara series! Two friends search for their heart’s desire in this small-town romantic novel, continuing Kerry and Stephen's story in Book 3, The Hopeful Romantic...available at Amazon, Barnes & Noble, Kobo and Apple! It Only Takes Once, Book 1 of the Ballydara series...now free! A touching romantic comedy about a twenty-something single mom's search for the perfect father for her son--get your free ebook at Amazon, Barnes & Noble, Kobo and Apple! In this rollicking love story, meet brash, irreverent Grainne Larkin, who secretly longs for a baby. Available at Amazon, Barnes & Noble, Kobo and Apple! 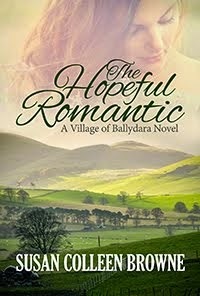 The Hopeful Romantic, Book 3 of the country-set Ballydara series! In this tender story about marriage and family, country-loving Kerry McCormack, a young Dublin mother, dreams of having a farm...but at what cost? Available at Amazon, Barnes & Noble, Kobo and Apple! 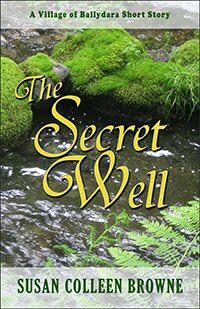 In this tender, magical Irish tale, the sequel to The Secret Well, an unexpected blessing, a mystical encounter and a bit of fairy lore helps a grieving family rediscover the true meaning of Christmas. 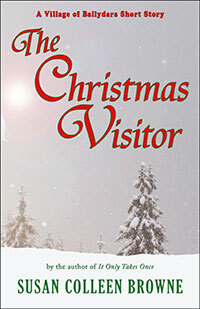 The Christmas Visitor ebook is available at all online retailers! In this touching, bittersweet tale, one man's loving spirit leads to a family's reconciliation and his own greater faith and wisdom...the ebook is available at all online retailers...click the book cover for a free copy! 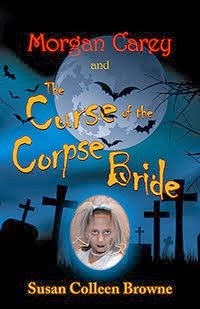 In Book 1 of the Morgan Carey series, 5th grader Morgan has chosen the coolest costume ever, a dead bride...her trouble begins with a powerful magical spell during the Dia de los Muertos, the Day of the Dead! The series also includes The Mystery of the Christmas Fairies and The Secret Astoria Scavenger Hunt...all 3 books are available at your favorite online retailers!